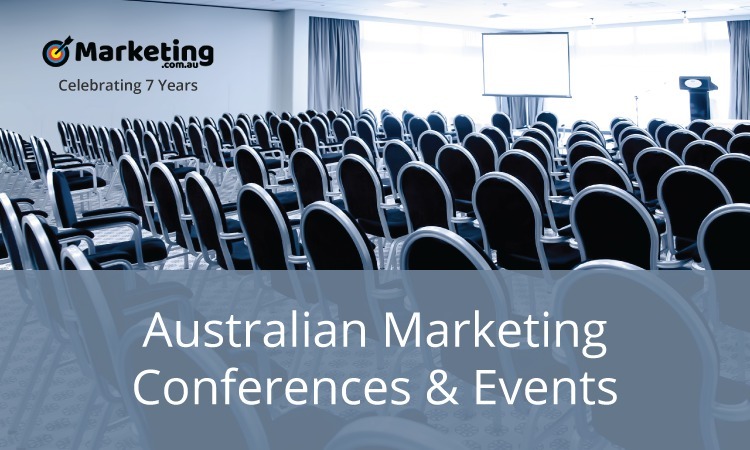 As February 2019 kicks into gear, so too does the number of marketing and advertising events being held around Australia. Here’s your monthly round up below. Australia’s ultimate events industry conference, The Business of Events, will present a line-up of industry heavyweights that will offer senior executives a wealth of strategic business advice that addresses global trends and market opportunities. Two-days of invaluable insight will show you how to identify new business to increase the bottom line, the future plans of major events and what this means for business growth, and how to capitalise on government strategies to attract international events. If you are from an event organiser or agency, hotel, venue, airline, bureau or tech supplier, and guide the development of your business, this conference is for you. Only nine places are available to ensure every participant receives personalised attention. At The Future Stores you will explore leading strategies and case studies about optimising your retail network and distribution strategy and boosting in-store customer experience. Learn how to organise your people, processes and technology to foster a culture of innovation that keeps you ahead of the game and retail competition. The CXO Leaders Summit Melbourne will highlight latest strategies and technologies that are leading the way and will examine current challenges that CXO’s are faced with. The Summit will provide senior marketing professionals with a unique opportunity to learn and interact with their peers through a series of professionally led sessions hosted by both international and local experts. The one-to-one meetings with leading supplier companies will also provide a wealth of knowledge and offer opportunities for all attending delegates, while the informal networking sessions promise to create a unique interactive forum. We will be picking up on the key issues facing brands in in this complex, digital world. We are keen to explore the impact voice marketing will make over the next few years – very significant in the view of some; and we will look more broadly at marketing to machines. We will hear case studies on the development of brand experiences, pulling together both offline and online examples; and explore the growth of social e-commerce. With so many vying for the consumer’s attention in so many ways, loyalty marketing is taking on new emphasis. We will explore that, and the other possibility that you might be battling to deal with a loss of trust in your brand? It’s no wonder in such a fast-moving world that marketers are starting to seek new and different agency relationships; and agencies in turn are keen to preserve their place at the table and extend their impact and influence where possible. We ask what agency models are coming to the fore and where the management consultancies sit in all this. Join us at Australia’s most anticipated and influential digital marketing summit, taking your place alongside more than 100 senior marketers and digital strategists over two days of networking and learning. We believe true innovation comes from changing perspectives. Our speakers are hand picked for their expertise, experience and influence in the digital marketing field, from a wide range of industries. An interactive and global annual marketing/advertising event that is a great platform for client side marketers, global brand advertisers, advertising technology providers, digital agencies, online publishers, portals and media professionals. Intrigue Summits are organised in many of the world’s most prominent cities including New York, San Francisco, Los Angeles, Singapore, Hong Kong, New Delhi, London, Melbourne, Sydney and many more. It is a unique conference + exhibition which will have many of the finest speakers from Melbourne and the surrounding cities with an intriguing agenda covering the latest trends in marketing and advertising technologies. Future TV Advertising Forum is co-located in Sydney with The Future of Brands, (Wednesday 27 February 2019) and we have a great dual-pass offer for delegates. Future TV Advertising Forum Sydney returns in February, asking whether we are heading for a media effectiveness and brand health crisis, fuelled by short-termism (including cost cutting) and sub-optimal planning. We will debate the future of ad-funded broadcast in Australia and look at all the tools TV can employ to make TV better measured, traded, targeted and data-led.